Let us introduce you to Jenny Lee Burton. 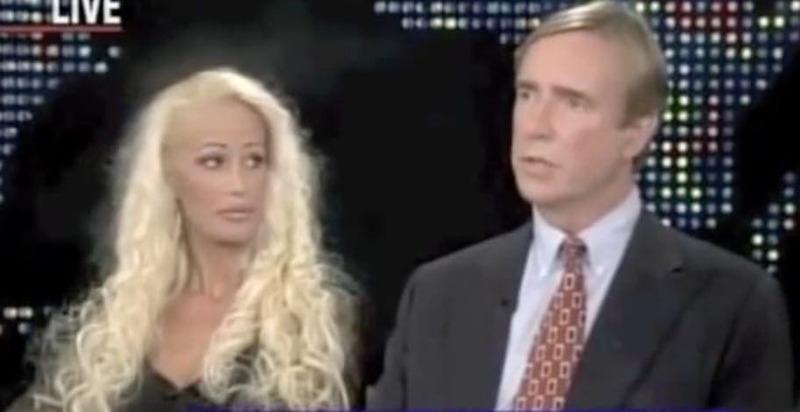 Jenny appeared on Oprah back in 2004, revealing her story of plastic surgery addiction that started out when she was just 25 years old. Her pursuit for perfection led her to have a total of 59 surgeries over the course of several years. Today, after gaining weight and stopping the plastic surgeries (due to an unfortunate condition) she has to accept her new look. Jenny Lee of Austin, Texas, grew up thinking she was a pretty girl. People would comment on how beautiful she was. She went through high school without any body issues and met her now ex-husband thereafter. All through Jenny’s upbringing, schooling included, she was a busy social butterfly who didn’t give her looks any more attention than the average teen. She was told she should model as she is tall, thin and had the face for it. At this point in her life, Jenny didn’t think about plastic surgery or think that her life was going to take such a significant turn for the obsession with perfection. 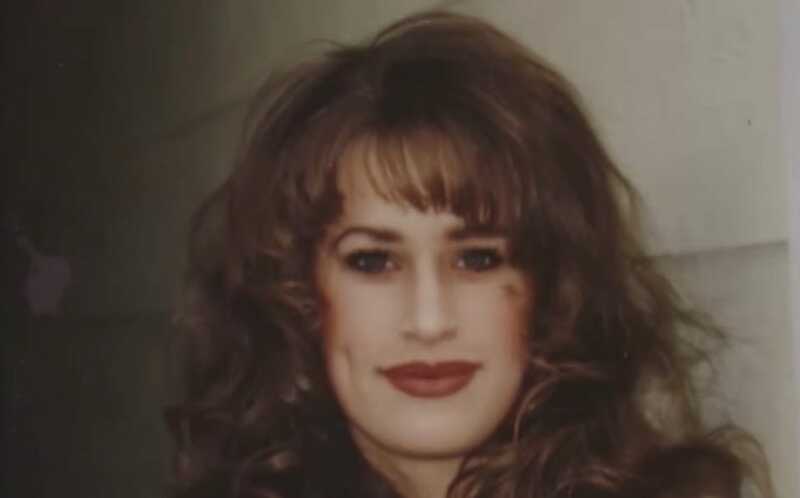 Jenny was always told she looked like Julia Roberts, and by looking at this photo we have to say that there is quite a resemblance, well, there was. Now, Jenny looks incredibly different, having undergone many procedures on her face and body. 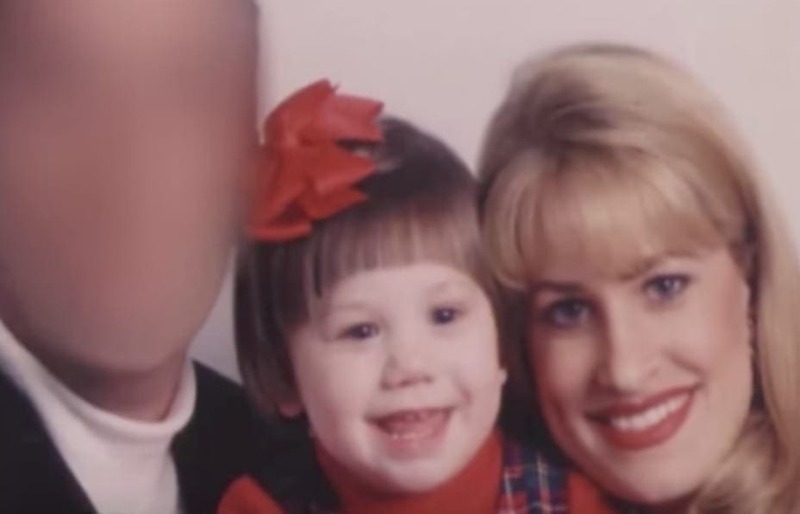 The entire plastic surgery concept was introduced to Jenny after she married her first husband, had their daughter, Kaleigh, and was on the receiving end of her husband’s negative commentary. Jenny’s first husband told her her nose was too big and her breasts were too small. Those comments, whether he meant for them to make a difference or not, triggered something in Jenny, something that would become a lifelong obsession. In order to please her husband, Jenny started out by getting her breasts done. She was in her early 20s at the time and got them enlarged to appease her husband. Jenny’s first surgery, which she did to keep her husband from making more nasty comments, was the beginning of her negative relationship with herself. Jenny ended up divorcing her husband, the one who started it all, as her surgeries were not enough to keep them together. After their divorce, Jenny took the plastic surgeries to a whole new level. Jenny said, “after the divorce, plastic surgery became an obsession for me. 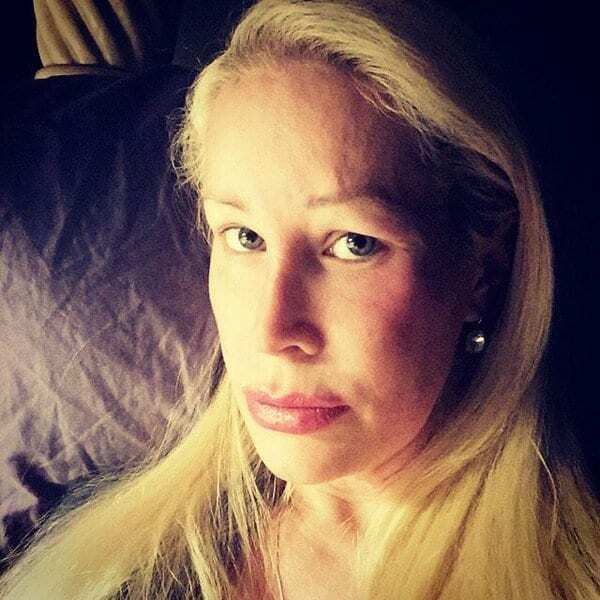 Today I look nothing like I did when I was married to my ex-husband.” Once you see what she looks like after the first 33 procedures, your jaw is sure to drop. Jenny admits that she has a problem and knows that her procedures are a mask for a much deeper issue that she has within herself. This is what Jenny looked like before she had any plastic surgery. Her hair was falling naturally down her back, her smile contained nothing but shine, her face and body were her own with no added implants, injections, or surgical scars. In our opinion, and in the opinion of many others, Jenny was a beautiful woman who needed nothing done to her to begin with. We certainly wish her ex-husband would have kept his comments to himself and spared Jenny from a life riddled with insecurities and body issues. Jenny came to the forefront of the American minds when she was on The Oprah Winfrey Show in 2004. 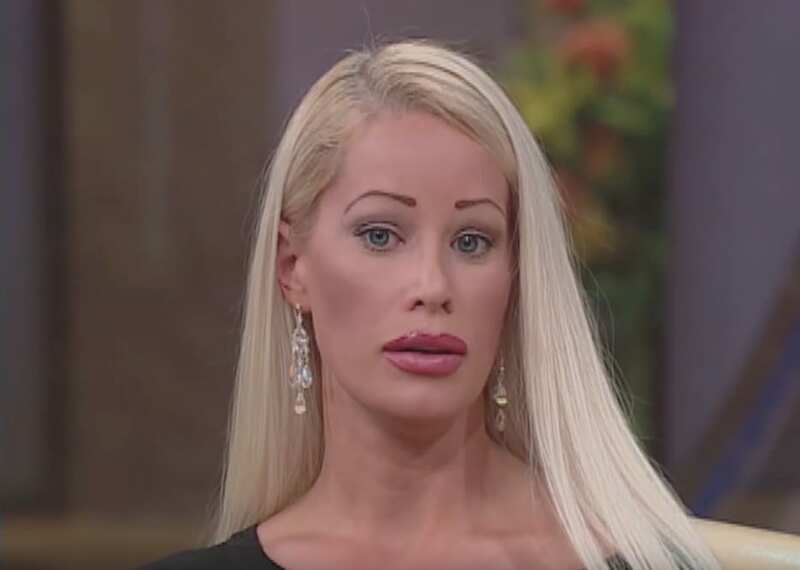 It was on the show that Jenny put everything out there and told the talk show host and her audience that once she started having the plastic surgeries, she couldn’t stop. 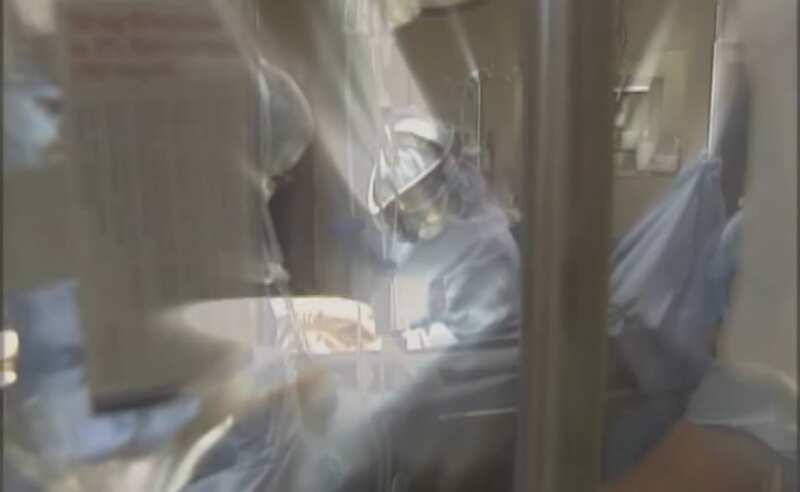 There was something that became almost frenzied in her mind once she got the procedures done that made her incapable of stopping until the vision she had in her mind would come to fruition. Looking at her reflection on the show, Jenny talks about the deep psychological issues that came about when she began with the plastic procedures. 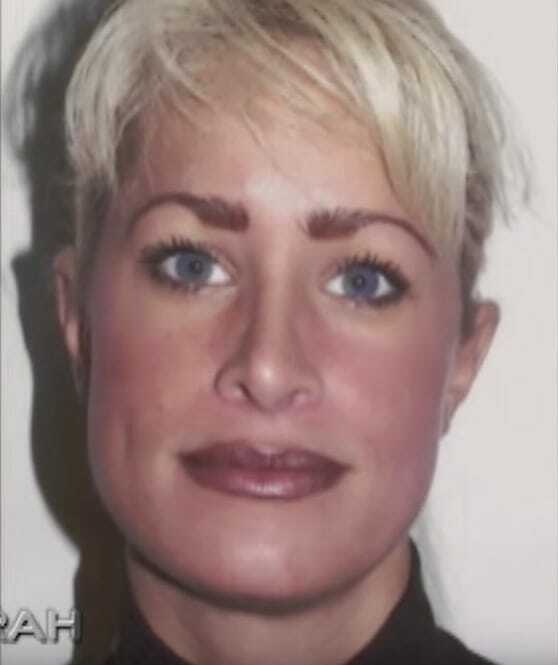 Jenny was just 25 years old when she had a brow lift done to her. At 25, Jenny obviously didn’t need to have any facial surgery done as there was nothing there. 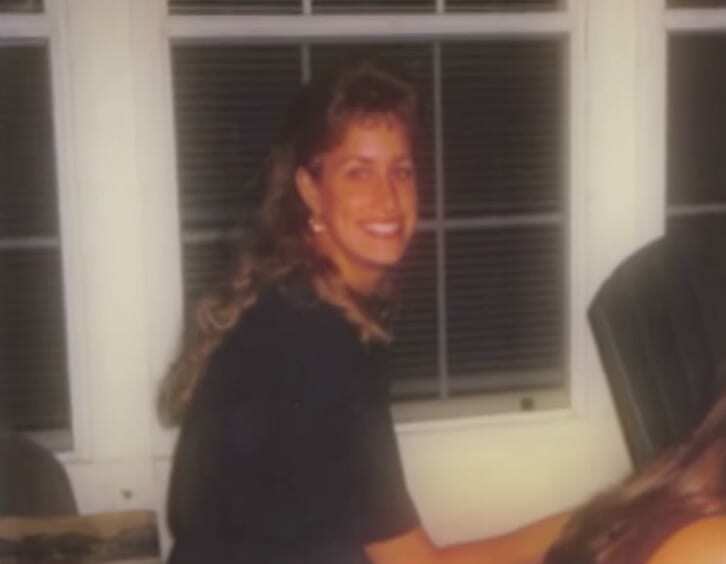 However, she had a certain look in mind and in order to achieve that, Jenny would need to have 33 procedures by the time she was 28, and that was not the end of it. This is the last time you will see Jenny Lee Burton like this, her natural self. The beautiful woman, who let a sinister comment change her life, would never look the same again. While in the beginning, Jenny did this to please her husband, it quickly became to please herself and be content with what she saw in the mirror. Sadly, what Jenny would continue to see in the mirror would be a face she hated, no matter how many surgeries she would undergo. The pursuit of perfection led Jenny down a dark path of low self-esteem. We are now beginning Jenny’s journey into the expensive and invasive world of plastic surgery. Jenny described to Oprah what she wanted to be done to her face. She would bring her plastic surgeon photos of what she wanted. In terms of her nose, Jenny wanted to have Michael Jackson’s thin those. While the rest of the world thought Jackson’s nose was too done for good taste, Jenny loved the thin appearance and wanted her nose to look just like that. Like many other women in the world, Jenny wanted lips like the beautiful Angelina Jolie has. Jolie’s lips have been an inspiration for lip injections and modifications the world over. While Jolie’s lips are natural (she gets them from her mother), Jenny wanted to have a pair of her own, despite having thick lips, to begin with. 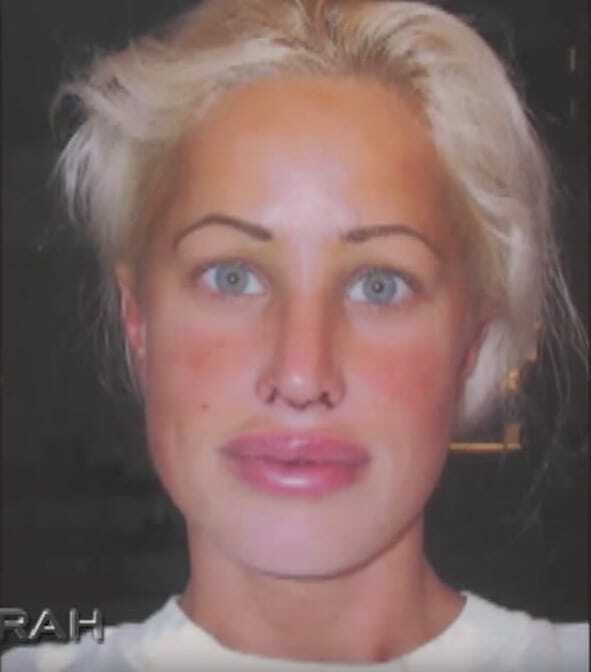 Jenny got her lips injected and pumped to have a more Jolie look to them. For Jenny’s inspiration for her facial structure, she brought a photo of Jennifer Lopez to her surgeon. She said she wanted Lopez’s facial structure, which is what they used as a template for Jenny’s forehead, brow and cheek surgeries. We will spare you the visual details and images of her transformation, instead of taking you through her steps to looking like she ended up, which resembles Barbie more than anything else. Here at step one, we don’t see a true noticeable difference yet, except her blond hair. Jenny started little by little at first, going full throttle the farther in she got. Jenny said, “When I look at my reflection, I still don’t like what I see, I’m trying to grow to accept what I see… If I could be just OK with it — just OK — I would be very happy.” You will understand more as we take you through Jenny’s changes. Here we see at the very least that Jenny got her first nose job. Her nose is noticeably thinner. One before the big reveal of her first major transformation. Jenny is seen here after having yet another nose job (two of four), her brow lifted, her eyelids lifted, and, of course, her lips done. Jenny is still very swollen in this photo, but even after the swelling went down, her features were changed forever, contorted to the way she wanted them to be, despite still not being happy. Voilà! Meet Jenny Lee, the new and ‘improved’ version. As we mentioned earlier, her story was brought to the attention of the American public when she was featured on The Oprah Winfrey Show in 2004. It was in that year that Jenny was just 28 years old, and divorced with one daughter. It’s hard to believe that she is 28 years old in this photo as the many procedures make her look older due to lack of any facial expression. When Jenny was on Oprah in 2004, she explained that to that day she had spent over $80,000 for her 33 procedures. Sadly, the money, pain and hours on the operating table were not enough to make Jenny happy. When she was on Oprah she said that she still looks in the mirror and finds many imperfections that she wants to be corrected, meaning she wants more procedures to happen for her ultimate goal of perfection. Like we said, by 2004, Jenny had undergone 33 procedures. The 33 procedures include three nose jobs, botox, cheek implants, veneers on her teeth, two breast augmentations, three lip implants, three breast lifts, as well as liposuction on her arms, stomach, hips thighs and knees. Jenny has had almost every inch of her body modified to fit the image she has in her mind, yet she is far from done. Jenny goes on to say that “the seduction of perfection is worth the pain.” Explaining to Oprah and the audience, or at least trying to, that she sees more things to fix every single time she looks in the mirror. Those words, coming directly from Jenny, explain the very reason she undergoes the extreme pain and change of her plastic surgery. Whether the imperfections are actually there or not is irrelevant, to Jenny they are; pointing to a deeper issue. “I told my doctor if I could do this every day of my life, I would.” Oprah put it on the table for Jenny. Stating on the show that Jenny’s self-esteem issues have only gotten worse with each surgery rather than better. While Jenny feels better when doing the procedures, much like an addict feels better when high on his substance, after the initial high is over, the issues resurface. The statement here brought to light exactly how much emotional pain Jenny was in. It doesn’t matter how many surgeries she would undergo, she would never be happy and she knows that. The root of the issue, according to Jenny is the need for her to fit in. She never felt like she fit in anywhere and wanted to look the best way she could to fit in among her peers. Jenny’s words on Oprah’s couch in 2004 explain her knowledge and recognition of the fact that she will never achieve the perfection she is after. Jenny has been very honest and open on Oprah’s show, explaining every bit of her physical and emotional issues. While Oprah is trying to be a little less serious here, there really is a striking resemblance between Jenny and Barbie, leading us to believe tat her ultimate look would be that of the little plastic doll. Whether Jenny knows it or not, Barbie seems to be the image she is after. After her appearance on Oprah, Jenny’s life changed. Her picture and heartbreaking story were shared by millions of people all over the world. Her “before and after” images went viral and Jenny became famous. This meant more TV appearances, more articles and naturally more scrutinizing of Jenny’s face and body. After becoming a viral sensation, Jenny was approached by several “internet entrepreneurs”. They promised her she would become even more famous and adored. They suggested she would appear in their videos, which will be speared online. Yet again, Jenny put a focus on her face and body, which couldn’t help her addiction. One of the videos Jenny appeared in, titled: “The world’s most surgically enhanced and me – plastic craptastic”, Jenny was interviewed by a guy named Mark Dolan. The interview was filmed in a swimming pool. Jenny was wearing a tiny white bikini, while she was talking about all the procedures she had done. Jenny’s story was picked by the producers of the massively popular talk show: “Larry King Live”. “Tonight! She’s just 29, and she already had 30 cosmetic procedures. Wait till you see what she’s done to herself, you’re not gonna believe it”, said Larry King. He continued: “Addicted to plastic surgery, she’s taking your calls now”. The ratings went through the roof. Jenny’s long interview on Larry King was accompanied by Dr. George Pratt, a famous licensed clinical psychologist, and Dr. Robert Singer, a well-known plastic surgeon. When King told Jenny she was beautiful before all that change and asked her why she’s doing all that work on her face, she tried to explain her addiction. The Doctors then explained Jenny’s behavior from their point of view which was based on medical research. Eventually, they came to a conclusion that it’s a severe psychological issue connected to her low self-esteem. Flash forward to 2012 – Oprah checks in with Jenny, and there is a significant change in her. Despite going on a little break from plastic surgery after the 2004 Oprah show, Jenny went back to plastic surgery in full force. In 2004, Jenny had undergone 33 procedures, by 2012 she had undergone 59 of them! The most noticeable difference between Jenny of 2004 and Jenny of 2012 is not her surgeries, however, but rather her noticeable weight gain. Jenny remarried and had another baby in 2007. After the birth of her second daughter, Jenny decided to undergo the major surgery she wanted – a body lift revision (after having the initial one right before her 30th birthday). Her body lift revision, which is a full body lift essentially, was done in 2010. Everything from her knees up was brought up via surgery. Jenny called the procedure a body lift revision when in fact doctor’s call it a circumferential body lift. We are happy to see it isn’t really as thin as Michael Jackson’s nose. In order for the fourth nose job to go off like her doctors wanted it too, he needed to take a piece of cartilage from her ear and place it in her nose so there would be enough to play with. The reason for Jenny’s weight gain is due to a diagnosis of Fibromyalgia. Fibromyalgia is a chronic illness that is characterized by severe bodily pain, fatigue, and tenderness in certain areas. Jenny’s weight gain and the fact that she couldn’t control the way she looks anymore took a toll. She said that her already low self-esteem took a “huge blow”. She remembered what she looked and felt like when she was slimmer and it was extremely painful to accept herself in her “new-version”. Jenny looked at her old pictures and couldn’t believe her eyes. “Oh, God! Are you kidding me?! I was really thin in these pictures”, she said in one of her interviews. She added the fact that at that time, she was also the healthiest and the happiest. The last statement was very questionable, because back then her plastic-surgery addiction was at its peak, and was not treated at all. After all these years, Jenny understands she had (and still has) a problem. She also knows what people think when they see her story: “When people see me they say: ‘here’s the Barbie girl’… But I take it with grace and I live a very normal and grounded life. with both legs stand firmly on the ground”. Jenny wants her story to be heard. Not because she wants to be famous and adored again, but because she believes it’s important. She hopes young women will not base their self-esteem on their looks and will appreciate what they have without constantly fixing it. This is also what she always says to her daughter Kaleigh. Jenny still fights hard to accept herself, it’s a daily struggle for her. She’s doing quite a good job and the fact that her family supports her makes it all a little bit easier. She continues posting images of herself on her social media profiles and hopes to become a real plastic surgery addiction spokeswoman. 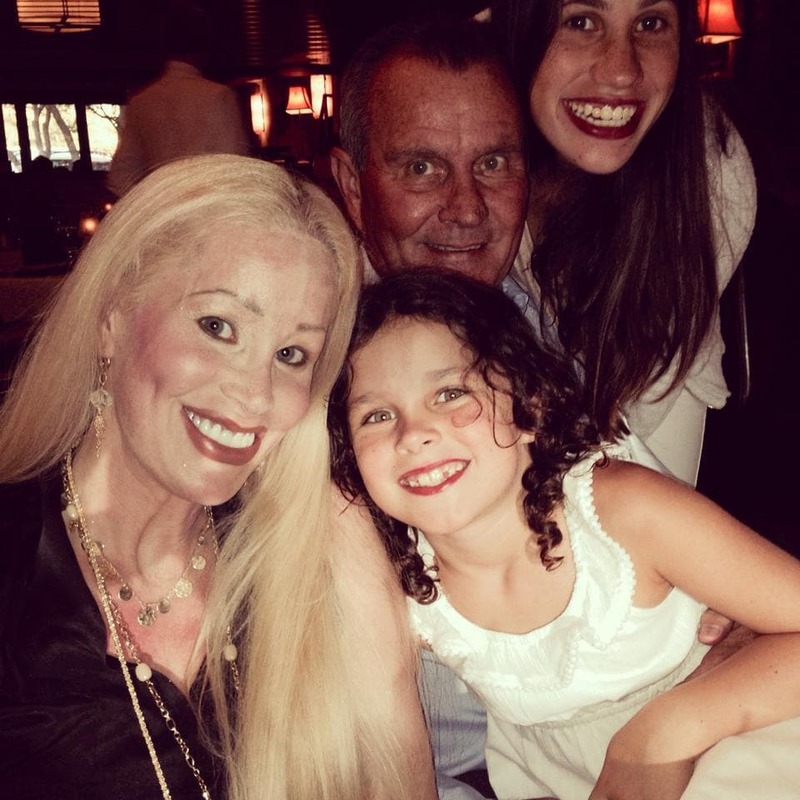 Growing up with a mother who has only ever had cosmetic surgery done to herself, Jenny’s eldest daughter Kaleigh is taking a different approach. Jenny is currently married to her second husband, the father of her youngest daughter. Jenny said, “He’s crazy madly in love with this Jenny,” referring to her new fuller figure. “Having that reassurance from him has made it a lot easier to deal with.” Jenny has always needed validation, luckily for her, she has finally gotten it. Despite having issues with herself, Jenny has made sure not to have any of her issues spill over to her children. Although Jenny has come to a place of acceptance, she still fights her demons. She tries to show that she is better and that she is fully aware of her situation, but it’s still clear that she adores her older self. 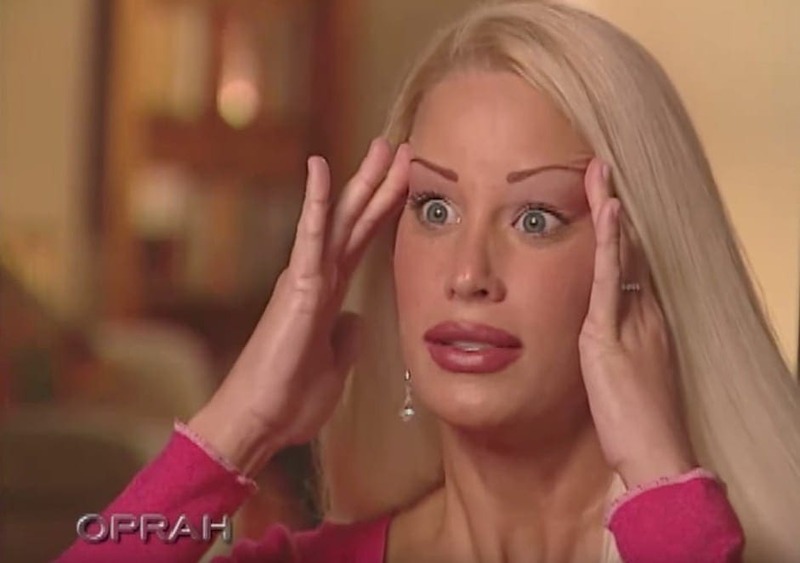 On her social media profiles, for example, she almost exclusively posts photos of her very “plastic” look. 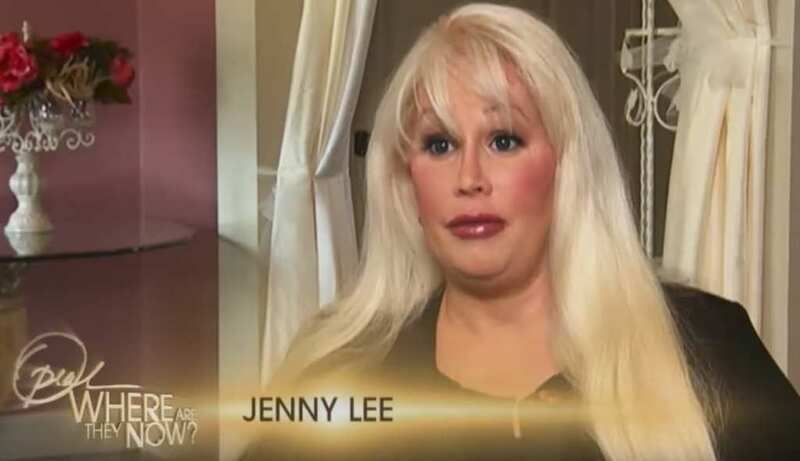 Jenny is using her story as “second career” as she decided to become a plastic-surgery spokeswoman. 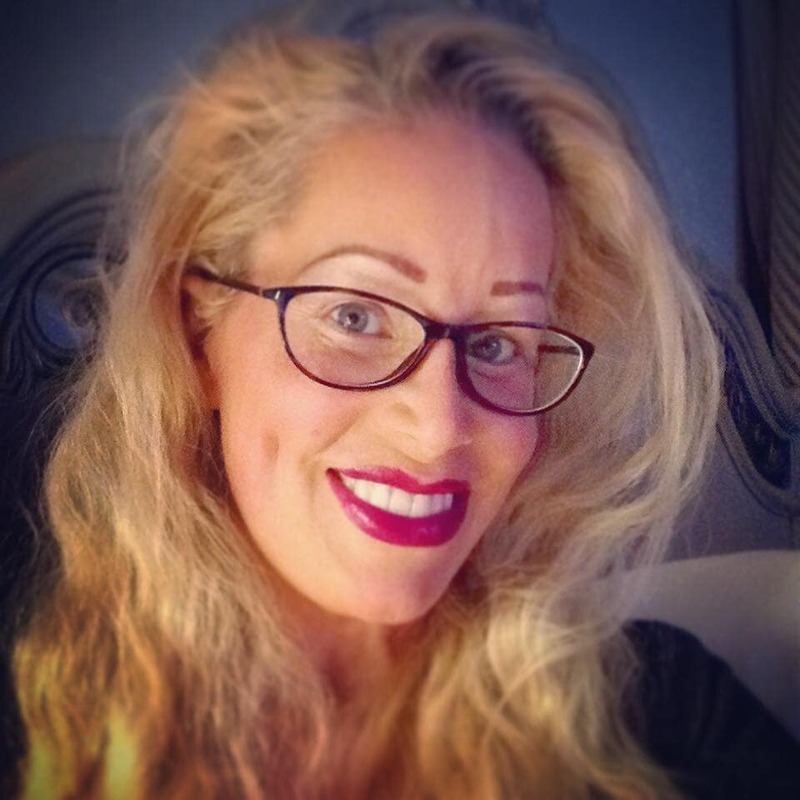 Jenny’s Twitter account description even says: “Jenny Lee-Plastic Surgery Enthusiast, Educator & Expert.Plastic Surgery/Media Guest/Documentaries. Media inquiries email to…”. During an interview, Jenny Lee Burton revealed that there’s actually an area in her body that was not yet operated on. While being filmed for a Barcroft TV documentary about people who are addicted to plastic surgeries, Jenny said to the interviewer that there is a small area of approximately 15 centimeters, from her nose to her breast, that she had not operated yet. However, she mentioned that she does plan to have plastic surgeries there in the near future. Jenny spoke thoroughly about her numerous plastic surgeries with document interviewer Mark Dolan, who due to her young age commented that she did not wait for the aging process to start before undergoing the procedures. She then responded that she didn’t want to wait until age 45 or 50 to perform the surgeries like all the other women. In her words, those women are so obvious in their intentions and they usually look like they had their face lifted literally. According to Dr. Pratt, Jenny is still carrying multiple traumas from her past which have contributed to her growing BDD (Body Dysmorphic Disorder). BDD is a mental disorder, in which a person is obsessed with his physical appearance while imagining delusional flaws or exaggerating actual ones. He then will take extreme measures to “fix himself”. Categorized in the obsessive-compulsive spectrum, BDD affects approximately 3% of the population in the United States. The disorder was never included in the Diagnostic and Statistic Manual of mental disorders until 1985. Dr. Pratt believed it was because people didn’t want to deal with the issue. He said that people often mistakenly associated it with ‘regular’ obsessive-compulsive disorder or even anorexia nervosa. Dr. Pratt then added that he believes it is not a disease nor a disorder but rather a condition that could be debilitating and disabling for many people suffering from it. This particular disorder usually starts in adolescence, when schoolmates are starting to make remarks about a person’s physical appearance. Mixed with the extreme pressure that teenagers suffer during this time regarding their looks, the person then becomes extremely preoccupied with themselves. Jenny herself noted that she never thought about undergoing any surgeries until she met her partner when she was 17. Dr. Pratt then added that a person with the disorder will look in the mirror and imagine flaws that are not there, thus perceiving themselves as ugly. She compared the severity of her Body Dysmorphic Disorder as going to the restaurant and ordering too much food. For her, the plastic surgeon is like the restaurant and she just checks all the surgeries that she wants. She had been questioned regarding surgeons who operated on her knowing that she has BDD. Jenny herself responded that she does not see anything wrong, and added that she can manage her disorder, despite undergoing more than 40 cosmetic procedures in total. Today, Jenny Lee has become very active in the digital sphere and social media. She has her own Twitter, Facebook, and an official Youtube channel called ‘TheOfficialJennyLee’. On her Channel, Jenny posts links to her appearances in several television shows and several videos that document her different plastic surgeries. Motivated to undergo more cosmetic operations, Jenny even contacted surgeons and offered them the chance to operate on her in return for good publicity for their clinic. Unfortunately, Jenny Lee Burton is not the only one suffering from this condition as addiction to plastic surgery is an ever-growing trend. This is Cindy Jackson, who like Jenny, and also looks like a human Barbie doll. With over 47 different plastic surgeries costing over a $100,00, Jackson even held a Guinness World Record for having the largest amount of plastic surgeries in the world. Today, Cindy’s inspiration is the famous French cultural icon, Brigitte Bardot.